Cape Town is affectionally known as the Pink City because it is regarded as a sanctum for the LGBTQ community in Africa. The beaches and nightlife are world class and it’s probably one of the most gay-friendly cities on the entire planet. Adventure travellers are also in for a treat here. 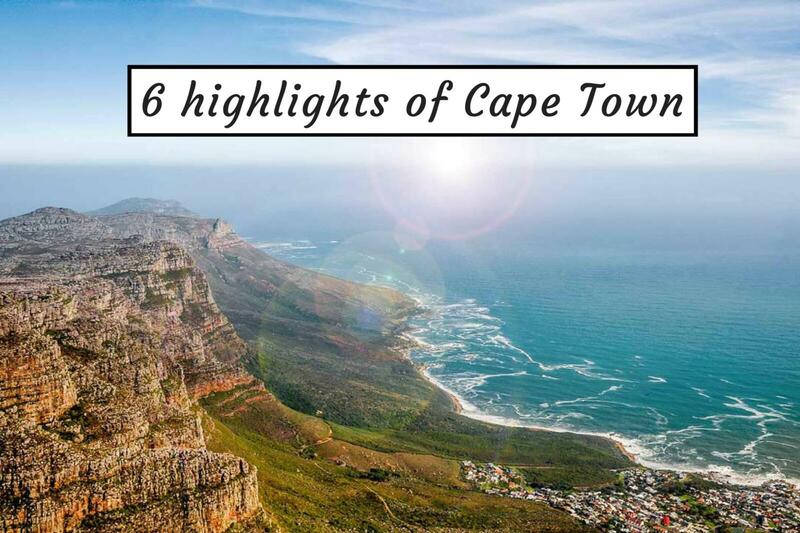 These are my 6 favourite highlights of Cape Town for gay travellers. Clifton is an affluent suburb of Cape Town, famous for its beaches. Look out for Clifton 3rd Beach, frequently rated as one of the best gay beaches in the world. Clifton 3rd is west facing so has stunning sunsets. The landscape setting is also gorgeous – it is surrounded by steep cliffs with cute narrow stairs. Take note: the water is cold and only serves as a quick dip to cool down. Cape Town's picturesque Camps Bay is a hot spot of nightlife activity. It's located next to Clifton and popular with A-list celebrities who come to party at the up-market bars and clubs along the beach road. The atmosphere here is absolutely electric and the cocktails, divine! The V&A Waterfront is a shopping complex, located in the magnificent harbour, hosting everything from expensive fashion stores to classy waterside restaurants. You can easily spend an entire day here. The Huge Ferris Wheel is a must and will give you a good sense of where you are in relation to the mountain looming over the city. A boat trip around the bay will give you a different perspective and you’ll almost certainly see seals and possibly even dolphins or whales. For some peaceful, alone time, I recommend taking the Cable Car to the top of Table mountain for the best views over the city. There's also an excellent restaurant at the top, which is perfect for a romantic drink with your loved one. For the fit and adventurous, you could actually hike up the mountain too. It takes about 4 hours and well worth the effort. The views along the way are gorgeous, and it's a great workout for the legs. The hip Green Point suburb has some of the best gay bars and club of Cape Town. Some of my favourites include Crew Bar and Amsterdam Action Bar. Safety tip: to be safe, you shouldn’t wander too far off into the city in the late hours of the night. I highly recommend using the Uber app to get around. The biggest and most extravagant event of the city is the Cape Town Pride Festival, which takes place in February/March. It’s a 10 days festival full of parties, events, lots of colour, and culminating with a large parade on the final day. Some of the best pride parties include the Cape Town Pink Party, Pride Women's Space and the Cozy Pool Party Pride Edition, which is the place to come to show off your speedos.